There is a wide multitude of OBD-II (On-Board Diagnostic Level Two) scanning or car diagnostic tools in the market today. All of them are promising to deliver the bang for your buck, with the best user experience and perks for this handy device. We’ve decided to look into the most popular models in the online market today, to see if they can actually live up to the hype that their manufacturers claim. What follows is a short introduction to the world of car diagnostic tools and their functions, which will help you determine the right type of scanner for your vehicle and convenient use. Later, the list of the top-rated car diagnostics tools sourced from several markets online will be reviewed, so you can have an idea of how each of the models compared to each other. Due to regulations stated by law, most cars manufactured in Northern America from 1996 onwards include internal standardized computer systems commonly known as on-board diagnostics or (OBD). These systems monitor multiple electronic sensors throughout the vehicle’s engine. Control systems are also monitored to make sure everything is running in top shape inside your engine. OBD-II scanners, also often referred to as car diagnostic tools scanners, are designed to able to read the coded data from your engine’s OBD by outputting various standard codes. It can detect a vast majority of possible internal problems a car can possible have. OBD scanners can range in cost from about 20 dollars to several hundred dollars, depending on the type of scanner, functions, and accessories that may be included. A higher price range doesn’t necessarily safeguard quality or technical features, so be sure to be meticulous at looking at the details of your prospects to make sure that it’s worth the extra money that it will cost you. Analyze carefully and plan your budget for an item like an OBD scanner. Consider the factors on how often you expect to use it, and how much in-depth information you would expect it to report. Simpler and cheaper devices will provide you with a code with a generic description that you can either consult with your mechanic or look up online yourself. More expensive models will include more detailed information and technical specifics about the diagnosed fault codes. Buying the appropriate OBD2 scanner is essential in making sure you can find any faults that the car might have. To assist you in making an informed decision, read on further through this OBD2 buying guide. Basic OBD-II Handheld Scanners: Cost-effective and relatively simple to use even for inexperienced users, basic OBD-II scanners are able to read and often erase engine codes. 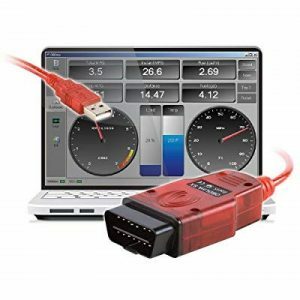 Ideal for reading codes to double-check the work of mechanics and for diagnosing problems to help carry out simple repairs, these car diagnostic tool scanners are best suited for common vehicle models. 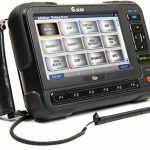 Professional OBD-II Handheld Scanners: Professional OBD-II scanners can offer a lot more compatibility and programming options than the previous type. With a wide array of units offering multiple additionall functions and storage memory, users are perfectly able to retrieve previous data such as the VIN number, print results, and letting them make adjustments easily. Mobile Device-Based OBD-II Scanners: These are very small scanners that read the vehicle data from the on-board diagnostics and then display the results by loading them with an accompanying app loaded often onto a smartphone or tablet. These scanners are small and relatively cheaper compared to the other two as they don’t have onboard screens. The BlueDriver Bluetooth Professional OBDII Scan Tool tops the highest-rated list on Amazon. It has a multitude of useful features including the ability to read and clear error codes, provide repair reports, and to conduct a smog check that evaluates your vehicle’s emissions in lieu of an upcoming smog test. All of this can be viewed through a live feed sent directly to your chosen Bluetooth device with the accompanying app. The diagnostic capabilities of this car diagnostic tool far exceed its price point and are definitely recommended for those with a tight budget. It is very good at translating error codes such as your check engine light warnings and providing you step-by-step with viable solutions to the diagnosed engine problem. Once the fault codes have been determined, they can either be saved or be erased by simply tapping the button in your app. This is great for those looking forward to saving money from automotive repairs and those who wish to maintain their own cars because it allows them for self-diagnosing what the possible problem is and how to fix it the issue faster than with other devices. It also allows you to draw and analyze problems that are persistently occurring and separate them from those ones which are one-off issues, giving you a good idea on which issues should be prioritized first. 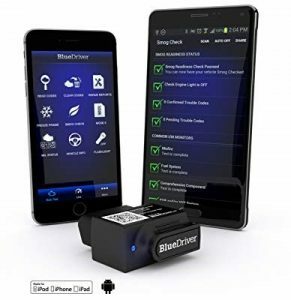 The BlueDriver Bluetooth Scan Tool can also tell you crucial vehicle information such as your car’s VIN number, a location of assembly, functional engine data, and fuel consumption in MPG, among others to name a few. However, one of the most notable of its features is the Smog Check. This check gives you a run-through of the different tests that your vehicle will be tested with during an emissions test and lets you know if the vehicle will be able pass or not. The BlueDriver car diagnostic tool will give you the best solutions to all the common problems that your car may have should your car have warnings that need to be fixed before you go undergo the emission test. The Innova 3040e is relatively a new competitor to enter the market, but don’t let this rookie fool you when it is one of the best car diagnostic tool this year. 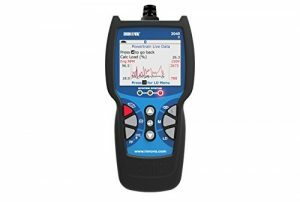 This handy little tool is capable of reading and erasing a whole multitude of standard codes, from check engine light to even the ABS codes. It is also capable of relaying different function readings including RPM, Oxygen, and Temperature readings. The 3040e comes with a lot of other car diagnostic tools, and can even help you diagnose both battery and alternator problems, which can become crucial in no-start situations. It can also read information regarding the engine coolant temperature of the vehicle and the functional stats of the fuel trim at the time of a specific malfunction. These readings are featured on a handy, 2.8” LCD color screen that is capable of showing you more than 20 sets of data information at a time. 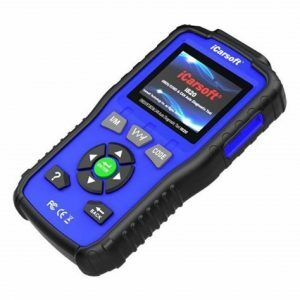 This is a very handy function to have that it sets itself apart from its competitors of the same price range as it means that unlike some other car diagnostic tools out there, there is nothing worry about compatibility of the product with your personal mobile device. Manufacturer updates to the Innova 3040e are done online through the USB connected to either your PC or Apple computer. 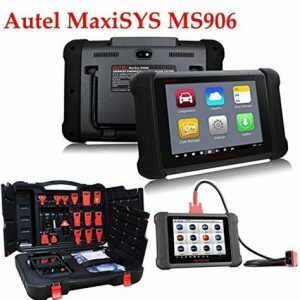 The Autel MaxiSYS MS906, a product of the esteemed automotive parts manufacturer Autel, is a the golden-child creation of a line of Automotive Diagnostic and Analysis System and is the next generation successor of highly-lauded Autel DS708. This car diagnostic scanner allows you to scan for a wide range of problems on cars from over 80 manufacturers, both foreign and domestic, including Mercedes Benz, Audi, BMW, Ford, Chevrolet, and Dodge. This scanner allows you to diagnose for a wide range of problems on vehicles from almost 90 manufacturers. This includes both foreign and domestic companies, including Mercedes Benz, Audi, BMW, Ford, Chevrolet, and Dodge. 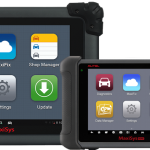 The Autel MaxiSYS MS906 auto scanner allows you to go beyond just scanning and diagnosing the problems of your car. You can reprogram keys, provided that you get the necessary key code from your car dealer. It can also enable you to reset many standard system protocols. Your check engine light and your ABS can then be customized according to your preferences. Say you want to reprogram your current ECU settings, even this feature is available for certain vehicle models. The MaxiSYS MS906 comes with a magnificent 8.0” LED touchscreen display that boasts of a 1024x768P resolution. It runs on an Android operating system and can readily link to the internet via WiFi connection to even expedite updates. You can also connect it directly to your computer via USB port, and even comes with 32GB on-board memory card. You’ll never have to worry about running out of storage space to save your diagnostic and live data feed information. The Autel MaxiSYS MS906 comes with its own built-in battery. Say goodbye to worrying about this scanner running out of juice. You also do not have to worry about plugging and draining your vehicle’s battery as you use it. This battery powers the device, and also the 8 megapixel rear camera that comes with it. Did we mention it comes with a flashlight? Ideal for taking pictures of your engine and uploading them to the web, this device is fully capable of connecting you to an online community of other Autel MaxiSYS owners, as well as professional Autel technicians. This is perfect for when you’re stuck in the middle of a hard fault. They will all be able to help you sort any issues you may have with the system or technical problems with your vehicle. The Launch CReader Professional is a multi-vehicle engine, ABS, Airbag & Transmission Professional diagnostic code scanner. 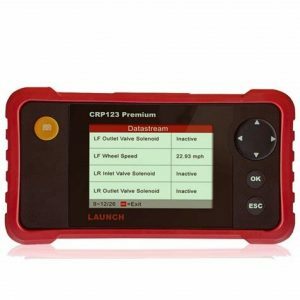 The Launch CRP123 is an efficient car scanner that will help you diagnose, and have your dashboard warning lights turned off in mere seconds. It’s simple, sleek & highly efficient! CReader Professional123 is part of a new generation of car diagnostic products for both professional and individual users. Released earlier this year by LAUNCH, this DIY-oriented diagnostic product is developed through many years of experience in the automotive diagnostics industry. Launch CP123 ‘s main functions do not only include OBD-II and EOBD standard protocol diagnosis, but also cover professional software used for diagnosing multiple models which can perform comprehensive diagnosis on four of the main ECU”s (ENGINE\ABS\SRS\AT) of vehicle. This gives you the capability to diagnose your vehicle’s airbag, ABS, engine, transmission & many other function systems. And will also let you remove the dashboard warning light as well. Even if your car is relatively new and is not showing any signs of faults, the car diagnostic tool kit will serve as a recommended vehicle health scanner. So if you’re keen on maintaining your vehicle’s engine health and ensuring it is in the best condition, we recommend keeping the Launch CRP123 in your toolbox at all times. The OBDLink SX is the ideal entry-level scan tool designed for individuals who are leaning more towards being the do-it-yourself mechanic. Despite its low-cost price tag, it is packed with advanced features commonly found in more expensive scanning tools. A kit includes license key for the latest OBD diagnostic software inside the USB interface. OBDLink SX quickly and accurately diagnoses your car engine problems and evaluates several performance parameters for all OBD-II compliant vehicles. You can use the software on any Windows interface, be it a netbook, laptop, or desktop PC, and you now have a highly-functional, easy-to-use diagnostic system — for an incomparably cheap price compared to comparable standalone units with the same specs! As a multi-protocol car diagnostic tool, this interface is suitable for all the vehicles sold in North America since 1996. This scan tool contains a specialized function that informs the driver on various fuel-saving mechanisms and settings. 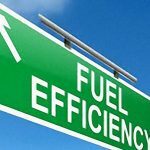 Over the course of your car’s road-life, the trickle-down effects of these fuel-saving techniques that are customized for your car, will save you a lot of hard-earned cash. In addition, its wide compatibility with mobile devices allows earns itself a trump card over other OBD-II scan tool competitors by being one of the few able to do the work of many others. The interface itself is also user-friendly and doesn’t take much of getting used to. It is convenient for users who don’t like cluttered and too-full nuances on their handheld device. For example, the live data feed system of this scanner gives you real-time updates, while the screen displays relevant information for each step taken at troubleshooting, giving the technician useful tips on which parts to tinker with. The iCarsoft i820 code reader is a definite money saver for its price range. Connect to your vehicle’s diagnostic port and read codes hassle-free by looking up to find the problem with your vehicle. These code readers are extremely simple to use which is perfect for total newbies, as you do not need to have had any previous experience using them to get the desired accuracy. It is also capable of letting you view and record live data in your car. This can be of potential help in finding an intermittent fault. Simply plug in the i820 to your vehicle port, and select the record function. This will run your diagnostics when you park and even while you start driving. You can then review the saved data diagnostics at a later time convenient for you. Fault code descriptions include descriptive translations that are very easy to understand for your own repair or for consultation with your personal mechanic. Other features include: Turning off the check engine light, reading and clearing generic and manufacturer specific DTCs (Diagnostic Trouble Codes), checking the MIL (malfunction indicator lamp) status, display OBD monitors and emission readiness status, showing of vehicle information (VIN, CID and CVN ), reading live data and freeze frame. This handheld device is powered via the removable OBD-II cable included. No battery is needed for use, and is provided with a Hot IM&Code key interface for easy operation. Overall, the Ancel AD310 is one of the most cost-effective OBD-II scanners for its price-point range of under $100. AD310 works with vehicles of OBD-II and EOBD compatibility, meaning light-duty trucks, minivans, and even internationally sold hybrid cars. Users who are fond of DIY repairs will surely appreciate the ingenuity of this scanner. Equipped with more advanced Live Sensor Data functions compared to the previous models, this scanner shows live sensors data in text and graph format. It also allows you to hone in on any fishy or symptom-specific observable data parameters. It is able to read freeze frame data, and can show you specific engine function conditions like fuel trim, engine coolant temp, etc. It also comes with a multilingual function, supported in several languages such as Spanish, English, and French. However, it is crucial to keep in mind that it is a code reader for the CEL and is marketed only as such. If you’re looking to have other function lights on for your vehicle, such as the airbag, ABS, and traction control, it will still be unable to read and clear those codes. For those functions’ readability you will need to invest on buying a multi-system OBD-II scanner which is typically pricier than this one and would cost over $100. Among its other functional merits, the device can access old codes. Once the engine check light is on, it searches for previous error codes and clears through them while diagnosing. Ancel AD310 comes in a sleek and classic handheld and ergonomic design with an LCD display with a resolution of 128 x 64 pixels. The LCD screen is aided with a white backlight which lets you study the readings properly, even in dark environmental conditions. To avoid excess glare, the device is also equipped with a customizable brightness and contrast options. If you are on budget and on the lookout for the best car diagnostic tool with OBD and classic features, then Ancel AD310 may be the one for you. If you are looking for a user-friendly and an easy-to-use OBD-II scanner, the Ancel AD3101 is a great first choice. While it may not be the cheapest OBD-II scanner in this list,it is one of the most sturdy and dependable OBD-II scanners out in the market. The Launch X431 is the esteemed rival of the Autel Maxisys Pro MS908, both of which are targeting buyers from the higher-end and premium OBD-II scanner price range. The Launch X431 is a sleek device, and is definitely one of the best-looking car diagnostic tool reader. It’s probably the one with the most chic design in this article, with its appearance resembling that of a tablet device. The functionality also complements the form; it is fully capable of reading the majority of the OBD1 and OBD2 fault codes available in different vehicle models in the world, even those with vehicle-specific cable connectors. The kit is comprised of 14 specific OBD-II connectors and diagnostic menu standards for vehicles in the EU and Asia. With this device, you are able to connect to your vehicle diagnostics via WiFi and Bluetooth, enabling you to also work wirelessly. Other features showcased by this nifty handheld reader includes: reading and clearing fault codes, component activation, oil reset service, steering angle calibration, electronic brake reset, battery maintenance, ABS, electronic throttle position, DPF regeneration, immobilizer matching, fuel injector coding, etc. The High Definition 6.98 inch display, with its high resolution screen is largely responsive. It also provides quick and excellent feedback for the live diagnostic data streaming graph and other specialty functions. 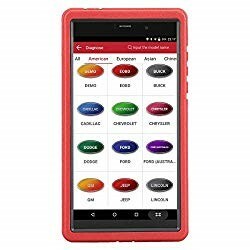 This car diagnostic tool runs based on the Android operating system, making it very convenient and easy to handle even for complete beginners This device can also be used as a tablet, practically giving you a two-in-one gadget with its ability to connect to the internet, play music, take photos and so much more. Overall, the Launch X431 Pro Mini is one of the best contenders in the high-end division, and is definitely one of the best OBD-II scanners around. 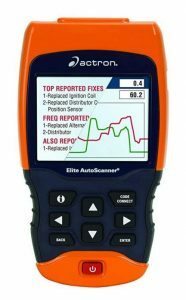 The manufacturers of Actron have given the automotive industry a vast array of car diagnostic tools and OBD scanners. Their models are available across the budget to mid-range price points with the CP9690 being one of the latter. The attractive selling feature of this OBD scanner is that it provides vehicles equipped with OBD1 models with a healthy selection of connectors and cables supplied with each purchase. The Actron CP9690 is a step above the rest with it’s larger than average-sized LCD display. View those graphical analyses from diagnostics reports with ease! Other outstanding features of this powerful error code reader include: Powertrain Coverage, Vehicle Identification, ABS Coverage, Battery System Monitor, ABS and Airbag Light Rest, OBD 1/CAN Support, Live Diagnostic Data Streaming, and Battery and Oil Light Reset. The car diagnostic tool from Actron is highly-comparable to other items from this list previously mentioned. The Innova 3160g and the Autel, with their compact and sleek ergonomic design is faced with a challenger. Feature-wise however, the Actron is lacking slightly in technical features compared to the other two, but its capability to diagnose OBD-I vehicles (a feat that is not very common in today’s newer scanning readers) makes it an appealing alternative for owners who deal with both classic and modern vehicles. This powerful yet compact OBD-II car diagnostic tool works with a multitude of vehicles from multiple car manufacturers all over the world including US-based , European, British, and Korean and Japanese brands. It comes in an ergonomically compact and user-friendly handheld hardware and interface. The whole diagnostic process from this device is designed for easy and quick use even for first-timers. Moreover, the small but heavy-duty giant has a weight of about 11 ounces and is designed for service to vehicles manufactured as early as 2000. It boasts of an easy-to-read screen that shows the user all the pertinent functions, equipped easy-to-press selection buttons, and highly-responsive data interface that will show you the reading and functional analysis within a short time. The diagnostic checks and special emission analysis take a few minutes at the most, if not even shorter. You’ll be pleased to see this lightweight unit is pretty easy to take with you at all times, delivering to you professional service and results you’d expect from any of your downtown commercial repair shop mechanic would. In addition to analyzing the standard vehicle fault codes, this sturdily-built car diagnostic tool also clears the analysis codes after successful detection. 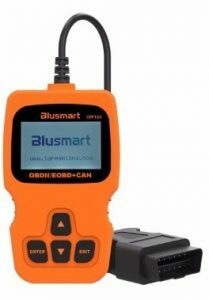 The Blusmart OBD scan tool is capable of reading both hard memory and intermittent faults. ← Thinking of Buying a Car Code Reader? Think again!